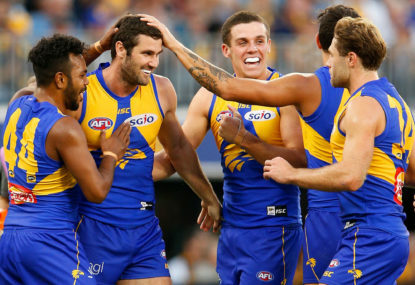 Having been tipped by the vast majority to miss the eight, West Coast are homing in on a grand final berth. 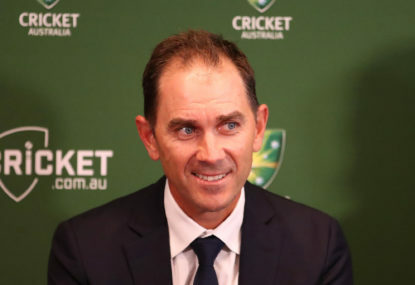 I have known Justin Langer for over 25 years and from what I have observed, he is the right man to coach Australia. 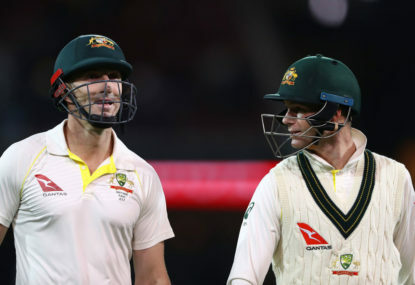 Cricket Australia’s new TV broadcast deal provides a double-edged sword – more of the game being shown but a considerable amount of it behind a paywall. 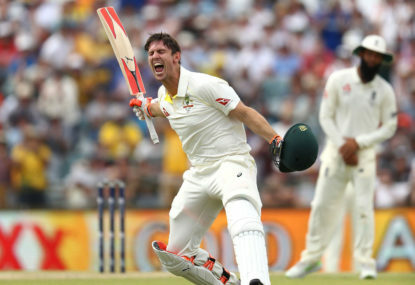 When South Africa steamrolled Australia in the fourth Test yesterday, it became the first series since 2009-10 that an Australia batsman has failed to make a century. 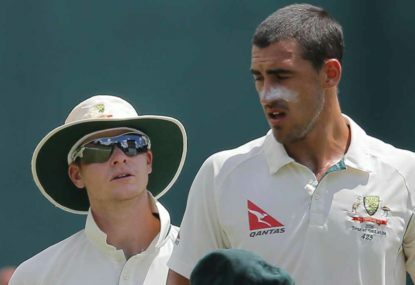 The theory that the 2001 Kolkata Test influences Australian captains regarding the follow-on is baseless and makes no sense. 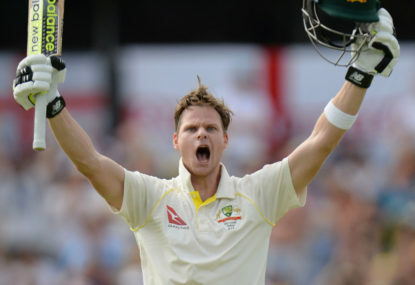 If Steve Smith were to make 20 consecutive ducks, he would still average 50.1. No, that’s not a typo; it’s a stunning statistic. 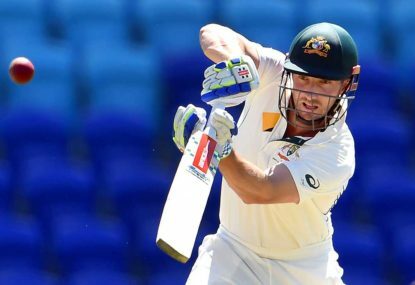 Shaun Marsh has been recalled to the Test side for a ninth time. 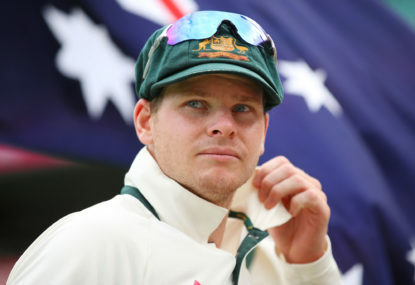 Yet, the Gabba Test will be only his 24th match playing for Australia. 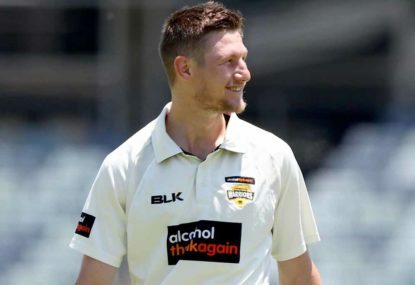 Should the selectors punt on Cam Bancroft as 'keeper? Adam Gilchrist changed the way we look at wicketkeepers in Australia and it has little to do with what he did with the gloves. The vast majority of focus heading into Saturday’s grand final has centred on Richmond. Like the Bulldogs this time last year, the Tigers are the sentimental favourite. 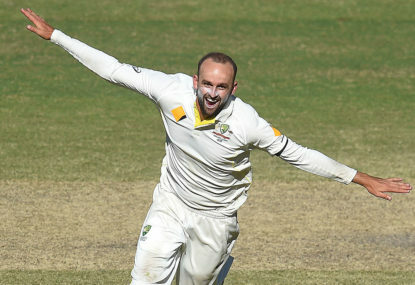 Ten months ago Nathan Lyon’s Test career was hanging by a thread. 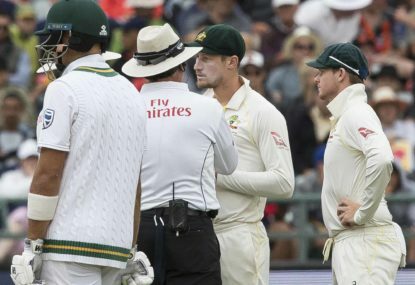 What do you have against Usman Khawaja? 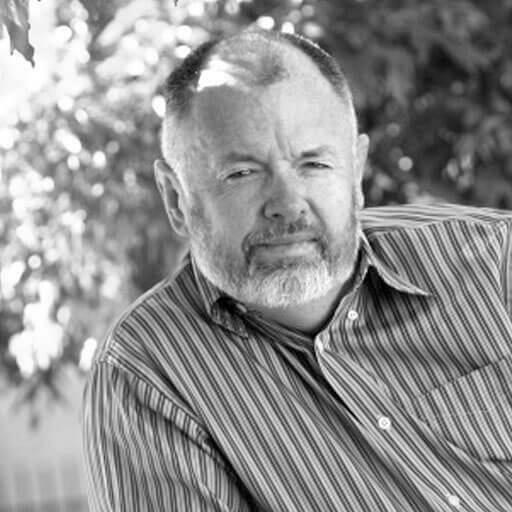 David, Taylor is the longest serving current board member having been there for more than ten years. Was he a dissenting or ignored voice around the board table or did he believe that CA was being governed and administered well and the spirit of cricket was being upheld? 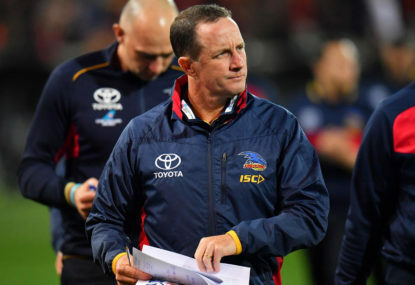 If it was the former and he felt the game was heading in the wrong direction and his voice was not being heard he should have resigned as Bob Every did recently when he had major issues. If it was the latter, is it simply a matter of rearranging the deckchairs? For mine, I would appoint Dr Lachlan Henderson to the position. He was chairman of the WACA until he took up a high profile business position in Victoria. He came onto the boards of CA less than two months ago as Every’s replacement. 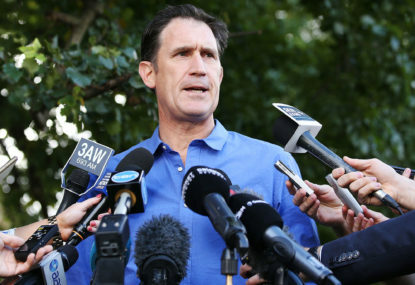 He is well respected in cricket circles, very successful in the commercial world, au fait with the machinations of the CA board but given his very short tenure he is not tainted as many of the others are. Isn’t Jye Bolton currently playing for Claremont in the WAFL? Why be on a waiting list if the football is as poor as so many keep telling us it is? All we hear nowadays is how bad the game is. We have had ad nauseum law and rule changes in recent seasons and yet we keep hearing the game is in crisis in certain parts of the media. So, their solution, let’s make further changes. At which point do we draw a line in the sand and simply let the game evolve without all these modifications? Richmond’s average home crowd from 2016 to this season has gone from 41,115 to 54,895 … I reckon that is because the team is winning and not because its brand of football is so dramatically more attractive than any other team. Conversely, Carlton’s home crowd has dropped 2,000 on last year … I wonder why. There are so many brilliant individual and team performances each week and yet the focus is too often on the negative. Back in the days of ‘The Winners’ on the ABC we were treated to the best highlights of the weekend. There were plenty of so-called ‘dud’ games back then but not every single game was shown on TV. They were all pretty much played at the same time on a Saturday afternoon. We only saw the edited highlights and best quarter. Nowadays, we can see every game. Of course there will be ordinary games. There always has been and there always will. That’s life when it comes to sport and we all need to accept that and stop trying to reinvent the game every season. No sport in the world changes its laws as often as Australian Football yet there is still constant calls for more changes. For a sport so often categorised in the media as being in ‘crisis’, spectator numbers show otherwise. When compared to the same time last year, crowds are up 2.0 per cent. And, at the same time last year when compared to 2016, crowds were up 6.7 per cent. 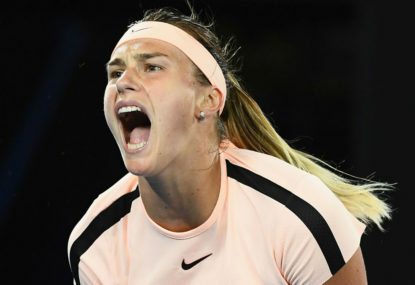 Too much media space is focused on negative aspects rather than celebrating individual brilliance and outstanding team performances but, as we know, bad news sells. It cannot happen Joe as a contract exists between the AFL & MCC to play the grand final at the MCG until 2057. Well Basil, given most football fans predict a premier prior to the season, I reckon doing so two months in should be allowed. I did not raise the four seasons, Adam did. I merely pointed out first up that he did not have a highly successful 2017-18 Shield season and Adam raised his effort across the past four seasons to which I responded and he told me that the figure I supplied was not correct and he did not average 41.6 as Cricinfo states but 50. I think also I if you look at the runs scored each year and the average you can figure out pretty much how many innings he played each season. That equates to 1331 runs at 41.6 for the four seasons. What figures are you going off? Can you please supply the season by season first-class stats for him in Australia for the past four Shield seasons? Actually, across the past four Sheffield Shield seasons, Finch has scored a grand total of 1331 runs at an average of 41.6. That equates to an output, on average, of 333 runs each season. 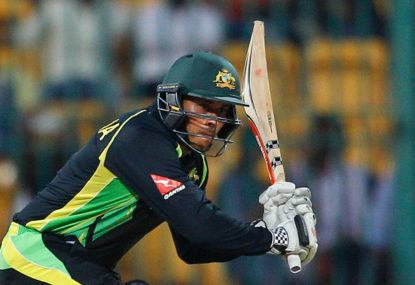 Finch is 31and has a first-class average of 36 which hardly reassures anyone. He has actually found it difficult to be a first-pick batsman for Victoria in Shield ranks in recent years. While he has a good record in the limited forms of the game his red ball cricket has never greatly inspired confidence. This past summer, in eight Shield matches he scored 494 runs at 35. That, I can assure you, will not be the case. Spruce, ODIs are on the anti-siphoning list however that is only relevant if a FTA network is interested in showing them. 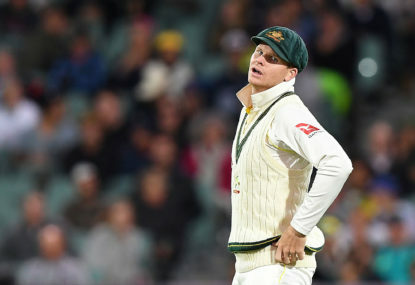 It appears on the deal that has been signed that Seven has no interest in covering the ODIs which allows it to go straight to Foxtel. For that to happen I would imagine he will need to find a place to play overseas. By the time his ban (and that of Smith) is lifted the domestic season will have ended. 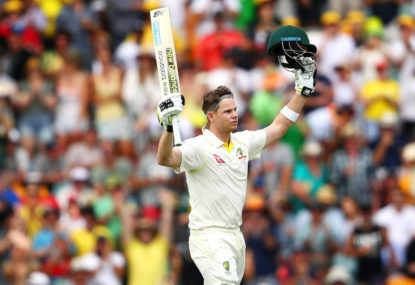 I cannot see him picked for the Ashes – or the preceding World Cup – simply on club cricket form. And then, of course, he will need to be accepted by his teammates and seen as a fit for want appears to be a ‘new look’ side re on field behaviour. The problem is Greg, we have been talking about that ‘dream’ attack for quite a while and it has never materialised. 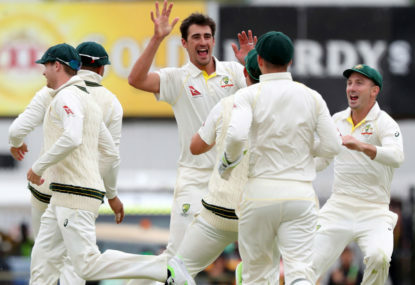 It was the big hope ahead of the Ashes until Pattinson went down. I am not too sure if we will ever see it. IND is currently number on 121 points, followed by RSA (117), NZL (102), AUS (102) & ENG (97). Has T20 affected other Test batsmen around the world? Paul, which players outside the XI that played in Johannesburg are currently pushing for selection by dint of their performances in Shield ranks in recent seasons? That is the major issue Jay. There are no batsmen pushing up and truly deserving selection. As mentioned, in days past, many players were racking up runs at domestic level and almost demanding selection. Matthew Hayden had five consecutive Shield seasons where he scored 1000-plus runs. Players like Michael Hussey and Brad Hodge had a decade of very good first-class cricket before being called up. With batsmen like them, you expected them to make the transition smoothly into Test ranks. Nowadays, we don’t see batsmen have consistent 800-plus run seasons. It is a major concern. Of course it is still going a week after the event. Warner has been portrayed as the mastermind and central figure of this saga. He chose to say nothing to the media – and by extension – the fans until seven days after the event. If you choose to wait that long to front the media do you simply expect that no one will comment on what you say? He is seen as the central figure yet you believe nothing should be said on here about what he said because the event itself happened a week ago. Perhaps, in future, that is the path people should take. Don’t speak for at least a week after a major scandal and hope by then that no one feels the need to report it because so munch has already been said. Care to expand Gav on your statement and point to the specific parts of the article that you believe have the potential to affect the mental health of those concerned? Which parts offend your sensitivities? Whilst Sutherland ddi say overnight that Lehmann won,d see out his contract which expires after next winter’s Ashes I would not guarantee that as the review into team culture may recommend otherwise. I think it is very much a wait and see with the coach. Personally Johnno, I actually do not have a problem with our cricket team being held to a higher account than other nations choose to do with their own. Just because other countries may view things in a different light or take things less seriously doesn’t mean we have to. For example, there are some countries in the cricketing world who treat things like domestic abuse in a very different light to us. That does not mean we should follow suit.